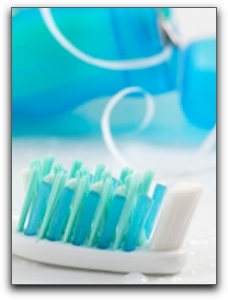 Did you know that brushing and flossing fights bad breath and removes stains? If you have persistent stains that brushing can’t remove, get your teeth bleached at The Reno Dentist for a dazzling, stain free smile. I am Dr. Shane Sykes of The Reno Dentist. In my office, we practice preventative dentistry by working with our patients to establish essential oral hygiene habits. If you are looking for a a family dentist in Reno, I invite you to come meet my knowledgeable team. Our address is 855 W Seventh St Ste 200, Reno, Nevada. We offer general and restorative dentistry, including TMD treatment and dental implants. And here’s a quick cold-fighting tip for my Reno clients: get a new toothbrush when you catch a cold. A toothbrush teeming with germs can re-infect you! Give us a call at 775-322-5016.